Identification: Short tail on hindwing. 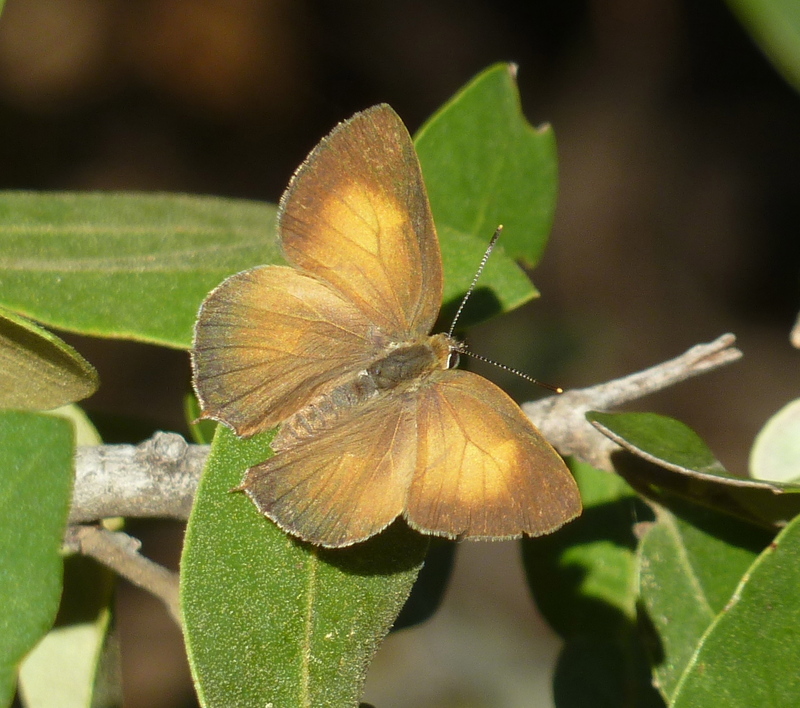 Upperside of male dark brown with yellow tinge in cell area of forewing; female not as dark. 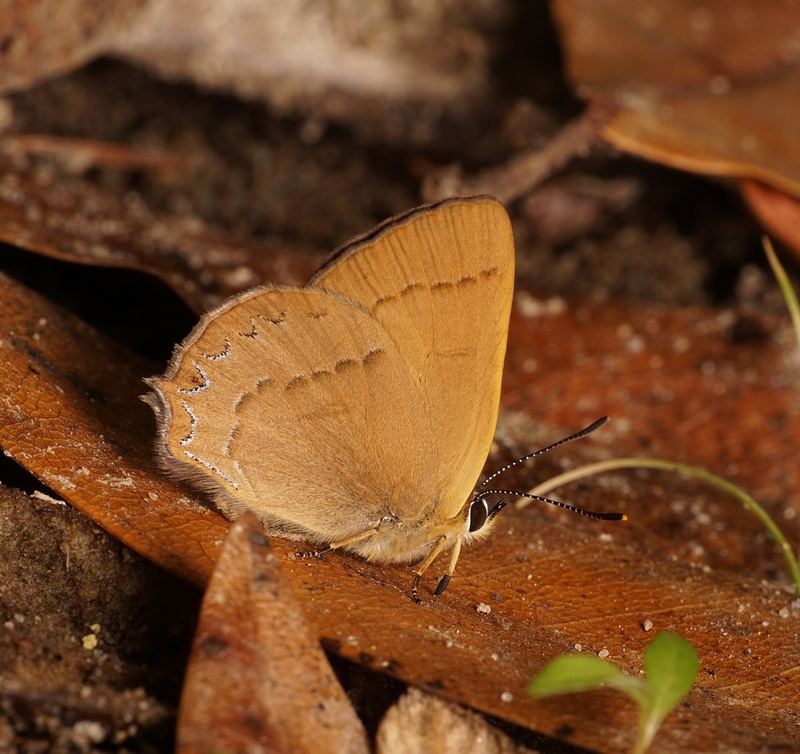 Underside yellow brown with a narrow, dark postmarginal line; hindwing has thin gold crescents at margin, of which the last two are iridescent. Life History: Males patrol tree canopy for receptive females. Eggs are laid on twigs of host trees. 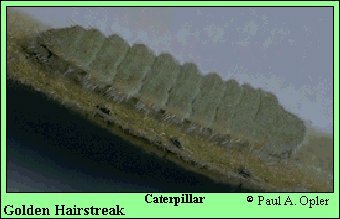 After hibernating through the winter, eggs hatch and the caterpillars feed on young leaves. Flight: One flight from June-September. Caterpillar Hosts: Leaves of oak relatives including canyon live oak (Quercus chrysolepis), huckleberry oak (Q. vaccinifolia), and tan oak (Lithocarpus densiflorus). Adult Food: Adults do not seek flower nectar but search out moisture sources and possibly aphid honeydew or other exudates. 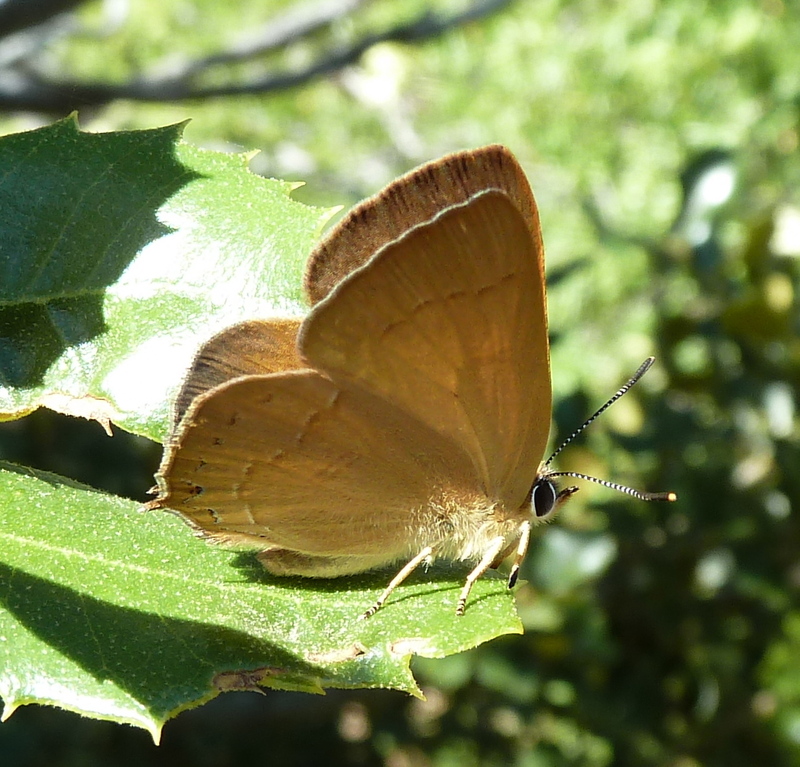 Habitat: Oak woodland, canyons, mountain ridges. Range: Southern Arizona, Oregon, and California.